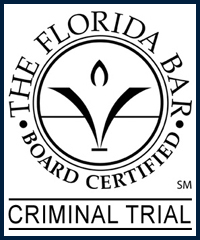 Lakeland Robbery Crime Defense Attorney - Lawyer, Providing Professional Robbery Criminal Defense Attorney legal services for Lakeland, Winter Haven, Bartow, Polk County, and the surrounding Central Florida area. Call 863.660.2185 to Speak with Lakeland Robbery Criminal Defense Attorney / Lawyer, Joshua E. Schoen. Robbery is the criminal taking of money or property from an individual or custody of another with intent to either temporarily or permanently deprive the individual or owner of the money or property by use of force, violence, assault, or instilling fear of physical harm of the victim or those associated with the victim. If a deadly weapon is not used in the commission of the crime, it is a misdemeanor of the second degree, punishable by up to a $10,000 fine, fifteen (15) years prison and/or probation. If in the course of committing the robbery the offender carried a non-deadly weapon, then the robbery is a felony of the first degree, punishable by up to $15,000 fine, thirty (30) years prison and/or probation. If in the course of committing the robbery the offender carried a firearm or other deadly weapon, then the robbery is a felony of the first degree, punishable by up to imprisonment for a term of years not exceeding life imprisonment. Protect your rights by seeking the legal advice and representation of an experienced Lakeland Robbery Criminal Defense Attorney / Lawyer. Contact Lakeland Robbery Criminal Defense Attorney / Lawyer Joshua E. Schoen at 863.660.2185 in the Lakeland, Winter Haven, Bartow, Polk County, and the surrounding Central Florida area.